The Wine development release 1.5.2 is now available. - Improved naming scheme for audio devices. - Better support for finding system fonts on Mac OS X. - Beginnings of support for JPEG encoding. - Improvements to the URL cache. In case that you wish to enjoy a significant affair or just have a good discussion in a great company, you can search red wines at this shop as an solution, this is worth it! If you play videogames and you use Ubuntu as main O.S. of your PC, this is the place for you. In this blog you will find tips, tricks, trials and infos and everything else about Linux gaming. 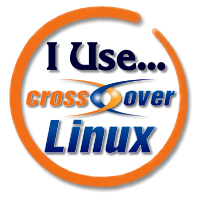 I do tests about native Linux games (with own package or using a program like "Desura") and non-native games (using programs like Wine, PlayOnLinux (a GUI front-end for Wine), Crossover Linux and GameTree Linux).